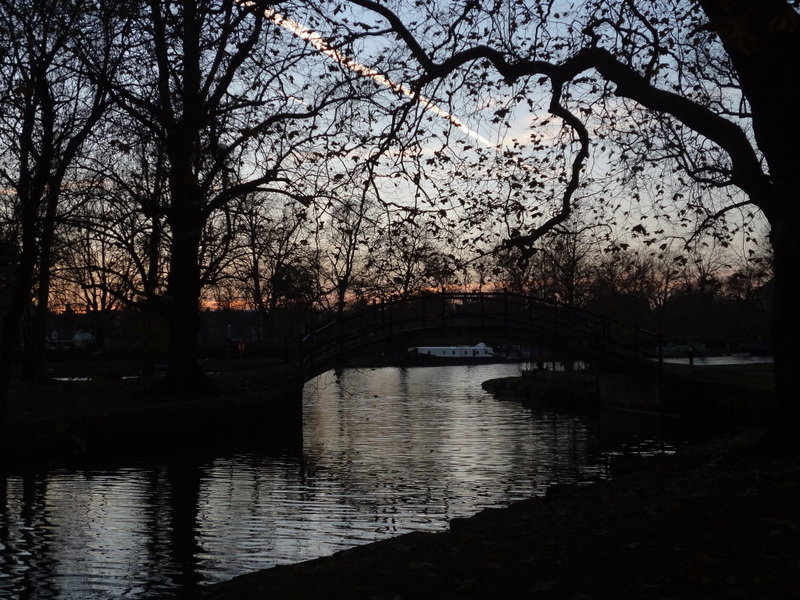 The wavering of this wrechit vale of sorrow. His chance this nycht, it may be thine tomorow. Without glaidnes avalis no tresure. The ramanent of all thow brukis with balis. With famous folkis hald thi cumpany. For warldis honour lestis bot ane cry. For truble in erd tak no malancholy. Be rich in patiens, gife thoue in gudis be pur. Without glaidnes avalis no tresur. Quhilk of the wynning no labour hed na cur. Yet to the Juge thow sall mak compt of all. The wavering of this wretched vale of sorrow. His state this night, it may be thine tomorrow. Without gladness avails no treasure. The remnant of all thou enjoy with troubles. With decent folks keep thy company. For the world’s honour lasts but a cry. Be rich in patience, if thou in goods be poor. Who of the winning no labour had nor care. But meat and clothes - and of the rest a sight. A reckoning right comes of an inventory small. At this time of year I get lots of hits from people looking for translations of the words of medieval Christmas carols. For some reason, such information is not easy to come by on the internet (and that which is available is not always accurate), so I like to think of it as a public service to post accurate translations here. It makes me very happy that medieval carols form a regular part of the Christmas repertoire, but it's nicer still if people understand what they're singing! And thus, today's post. 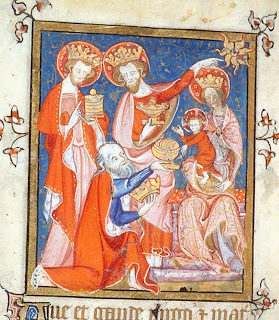 Someone was searching here yesterday for the words of 'Illuminare Jerusalem', which I've never posted about, so today I'll correct that; it also happens to be appropriate for the Feast of Christ the King, because as well as being a Nativity (and Epiphany) poem it's also about Christ's kingship of earth and heaven. 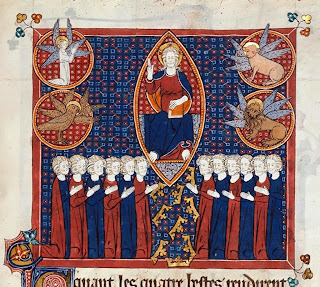 Christ the King is emphatically not a medieval feast - it's less than a century old - but of course the imagery of Christ as King was very popular in the Middle Ages, as 'Illuminare Jerusalem' perfectly exemplifies. Fro dirknes to illumyne the. Quhilk sall thee mak of thraldome fre. Thow art illumynit all about. And rissin is now thy richtouss king. Hevin, erd and hell makis inclyning. Hell, quhen thair yettis wer brokin asundir. From darkness to illumine thee. Who shall make thee from slavery free. And risen is now thy rightful king. Of him who healed so many hundreds of them. Hell [knew him] when their gates were broken asunder. The duke appeareth in Bethlehem. (Isn't it strange that to call Christ a 'duke' sounds a little odd, but 'king' and 'lord' are just fine?) 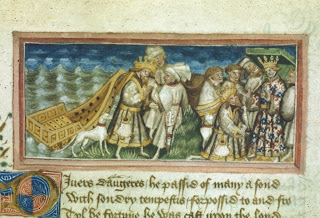 The first two verses of 'Illuminare Jerusalem' are influenced by that Isaiah passage, which also prophesies that 'the Gentiles shall come to thy light, and kings to the brightness of thy rising': these verses focus on Epiphany imagery, the coming of Christ as the rising of a star, illuminating the darkness of his people, and the homage paid to him by the three kings, 'a lusty rout' adorned with diamonds and gold on every hem! The third verse contrasts Christ the rightful king with Herod, a type of the tyrant and usurper, and then the poem goes on to describe how all elements in the universe acknowledged (or recognised - knew can be both) Christ's coming: the air knew him by the appearance of the star, the water knew him when he walked upon it, the sun knew him when it was darkened at the Crucifixion, Hell when he broke it open, Nature when he was born in defiance of natural generation... etc. The poem is anonymous, and is preserved in one manuscript source: the Bannatyne Manuscript (National Library of Scotland, Advocates MS. 1.1.6), a collection of hundreds of poems which was compiled by a young Edinburgh merchant, George Bannatyne (1545-1608). He copied it all out, he tells us in the manuscript, in the last three months of 1568, when Edinburgh was afflicted by plague and no one could go about their usual work ('in tyme of pest/Quhen we fra labor was compeld to rest'). Endearingly, he describes the book on the first page as 'Ane most Godlie, mirrie and lustie Rapsodie, maide be sundrie learned Scots poets and written be George Bannatyne in the tyme of hys youth' - at that time he was 23 years old. 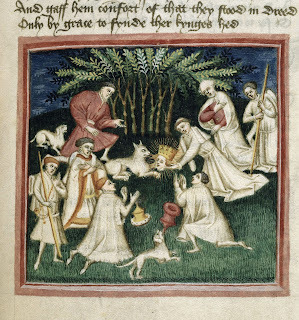 Unlike many medieval miscellanies, Bannatyne's manuscript organises the poems by subject-matter - religious subjects like the Nativity, moral counsel (of the 'don't trust to riches' variety, or 'preserve your health by eating in moderation' - that kind of thing), social satire, love poems, and fables. That might sound obvious to us, accustomed to modern anthologies, but it's unusual for the time - it suggests young Bannatyne had put quite a bit of thought into organising his collection. In the manuscript 'Illuminare Jerusalem' follows on directly from William Dunbar's 'Rorate coeli', another Nativity poem which is somewhat along the same lines, but even better - Dunbar is a wonderful poet, and 'Rorate coeli' (which is also not entirely unfit for Advent!) is very much worth reading. This poem by Dunbar on the Resurrection also appears in the Bannatyne MS., along with many others by him. The poem is from Harley MS. 2253, a manuscript of poetry compiled in the fourteenth century. 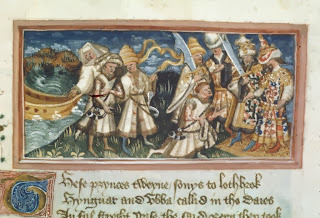 We shall all die, though it please us ill.
Abbo's Passio was soon translated into English by Ælfric, and you can read a modern translation of that version here. 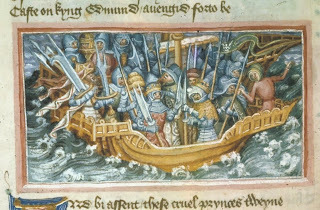 Ælfric's Life tells how a Viking fleet led by Ivar (Hinguar) attacks Edmund's kingdom and demands that Edmund submit to him. 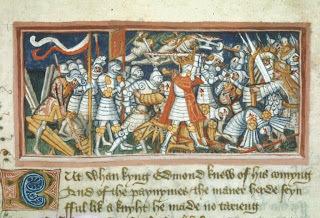 Edmund will not submit but does not have the forces to resist, so he decides to face death alongside his people rather than renounce Christ. The Vikings capture and kill him, shooting him full of arrows and cutting off his head. 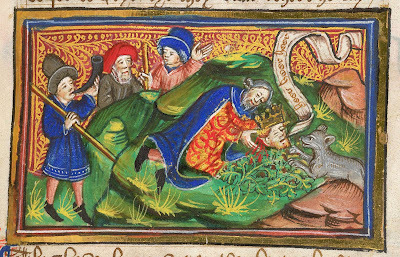 The most memorable detail is that after Edmund's head has been cut off and hidden it is protected by a kindly wolf; it's eventually discovered by his friends when it cries out 'Here! Here!' as the search-party goes by. The head is restored to the body, and he is buried. 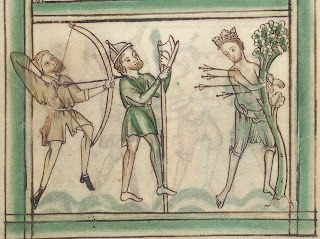 From the beginning St Edmund was a very popular saint in England, especially in East Anglia, and he continues to be so; on visits to the area I've gleefully collected depictions of him ranging from the medieval to the extremely modern, and have posted about them here and here. The early stories of Edmund are fairly sober - although Ælfric acknowledges that he has heard much 'popular talk' about Edmund's miracles - but from the eleventh century onwards legends about him started to take on a fabulous life of their own, aided by the monks of Bury St Edmunds, of course. 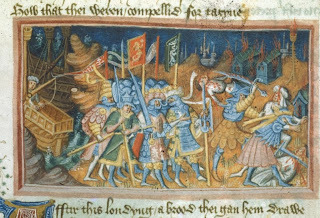 Stories developed about his parentage (such as that he was born at Nuremberg as the son of a German king), about his virtuous youth (supposedly he spent a year memorising psalms in a tower in Hunstanton), about various clever tricks he used to defeat the Vikings in battles before his death, and about how his ghost was responsible for the violent death of Svein Forkbeard, plus various other local superstitions (here for instance is a very late one from Suffolk). 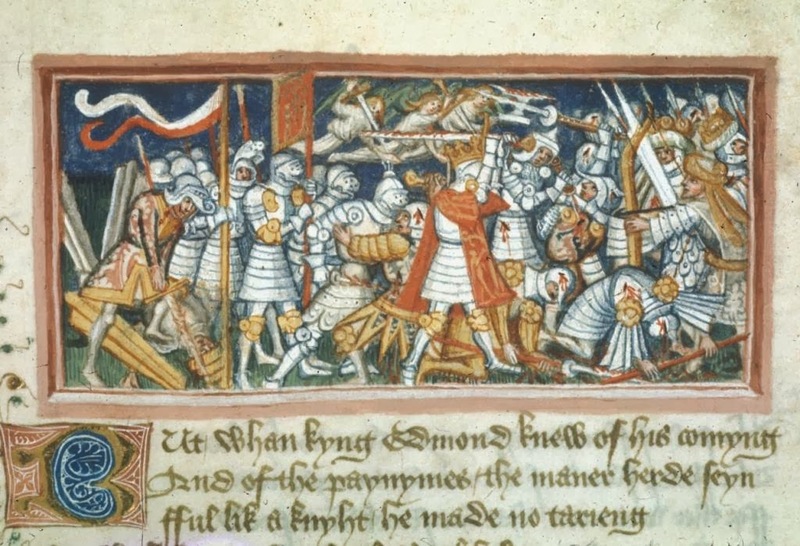 This is all legend, with very little basis in fact, but the number and variety of stories suggests just how popular Edmund was - people were talking about him. 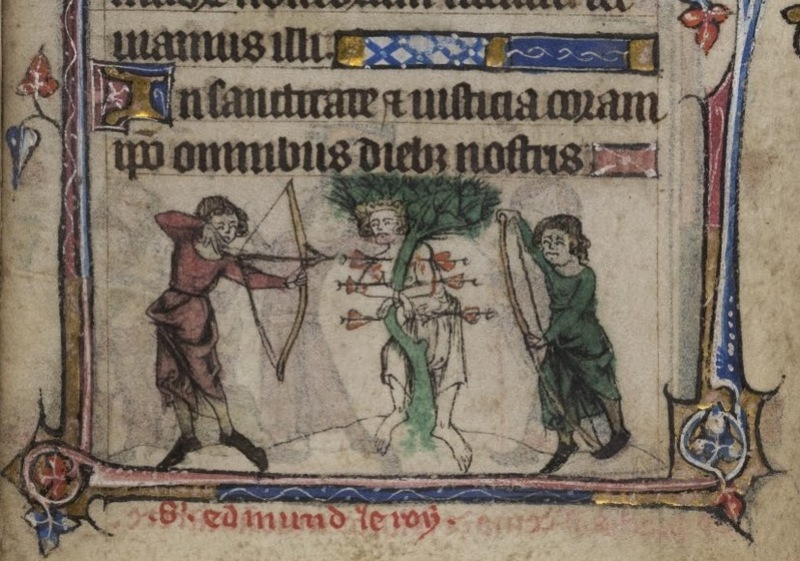 One interesting thing about St Edmund is that although he had been killed trying to resist a Viking invasion, the successful invaders enthusiastically embraced him as a saint. 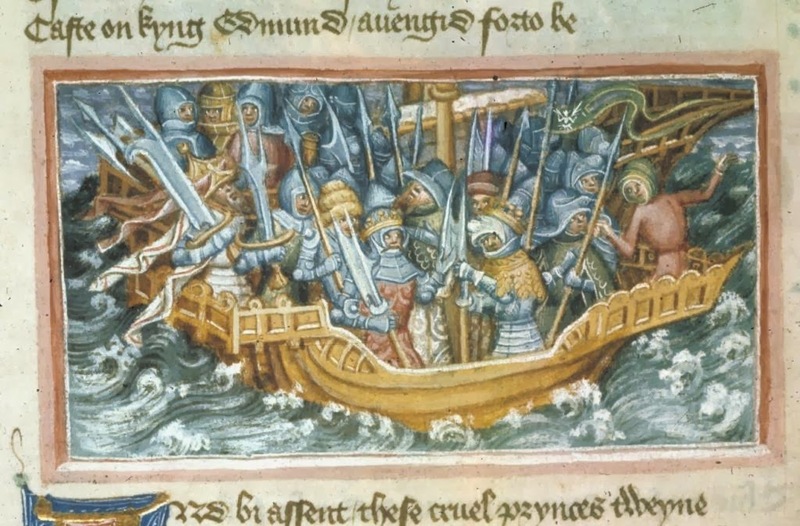 The invasion in question wasn't a smash-and-grab Viking raid; many of the pagan Danes involved in the conquest of East Anglia settled in England, quickly accepted Christianity, married and had children. 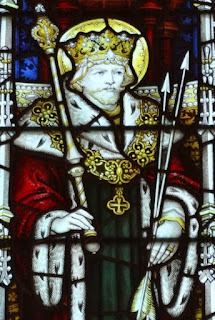 They became landowners, farmers and churchmen - tradition said that the saintly bishop Oswald of Worcester, for one, had a Viking grandfather who was in the army which killed Edmund. 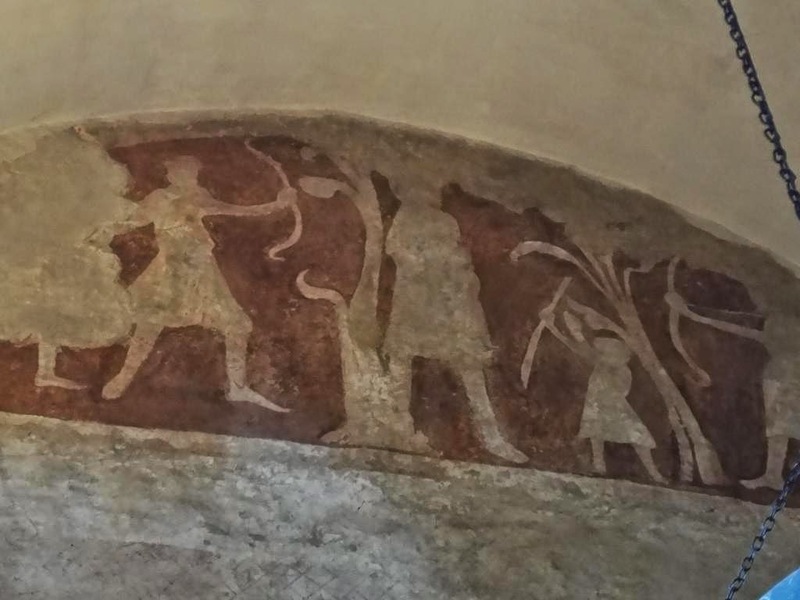 So how did the descendants of the Danes deal with their ancestors' actions? 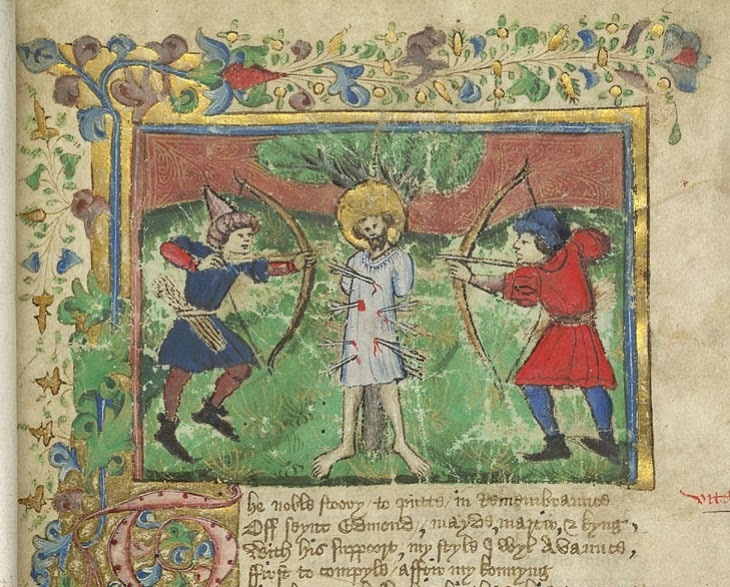 Partly by choosing to honour the memory of St Edmund as a martyr for the Christian faith (most notably by issuing coins bearing his name), and partly by telling their own stories about why the Vikings came to England. A number of complex and inventive legends survive in East Anglian histories which seem to tell the story from the Danish point of view. One claims, for instance, that the leaders of the army, Ivar and Ubba, originally came to England to avenge their father Ragnar Lothbrok, who had been unjustly murdered by one of Edmund's huntsmen. 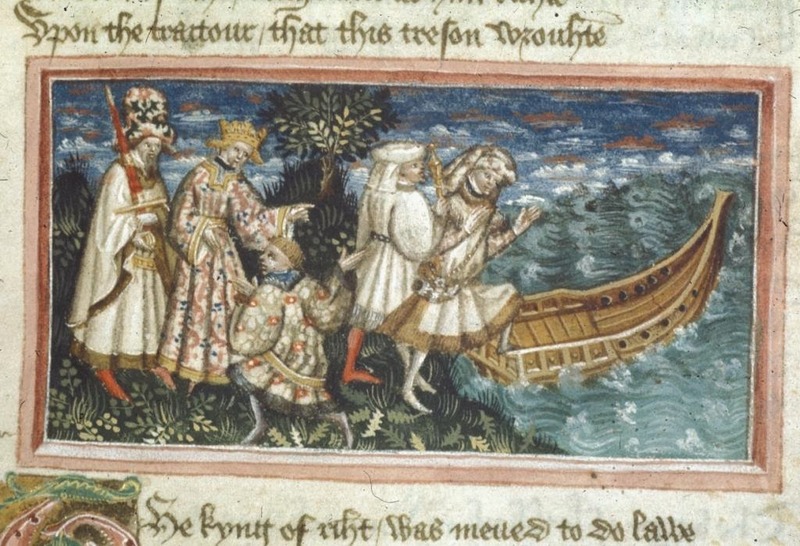 Another story says that Ivar and Ubba came because their father taunted them that King Edmund was braver and more successful than they were, so they decided to prove him wrong by invading Edmund's kingdom! These stories don't exactly justify Edmund's death, but they find a way to explain it that doesn't cast the Danes in such a bad light. You can imagine Danish settlers telling each other these stories, explaining how and why their ancestors came to England, as an alternative to legends about how wicked pagan Vikings indiscriminately raided and killed. It's a fascinating glimpse into a group of settlers making sense of their own history. 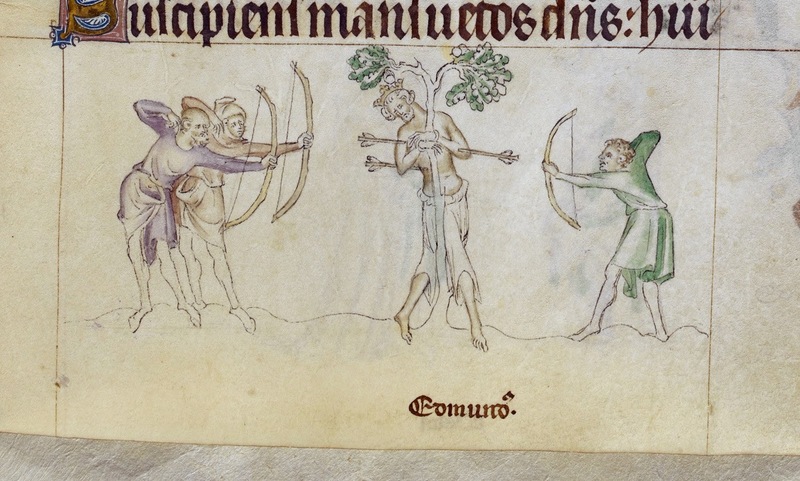 These legends, first recorded in the twelfth century, found their way into later versions of Edmund's story, and by the fifteenth century some formed part of the 'official' version of the tale being told at Bury St Edmunds. 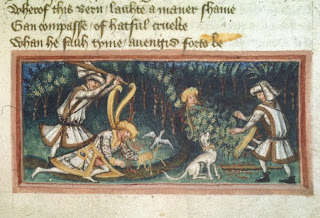 By this time the Viking army had been converted into the standard pagan enemies of romance, but the core of the story, especially of Edmund's martyrdom, is unchanged. 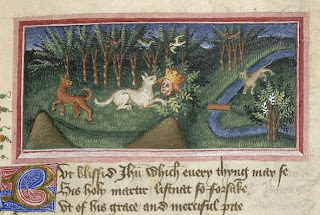 Let's explore this story through some images which show you what Edmund's legend looked like to fifteenth-century eyes; these are taken from two manuscripts of John Lydgate's Life of Edmund (British Library Yates Thompson 47 and Harley 2278). 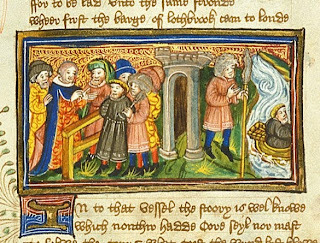 These expensive and lavishly illustrated manuscripts show how highly the monks of Bury St Edmunds valued their patron's legend in the fifteenth century. 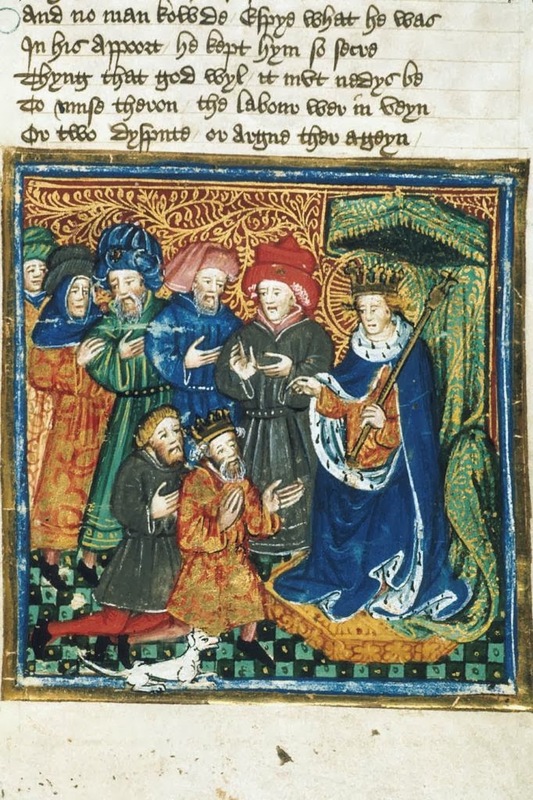 But he was widely venerated beyond Bury, and so to conclude here's a fifteenth-century English carol in honour of Edmund. This comes from the manuscript Sloane 2593, along with some other now-famous Christmas carols. 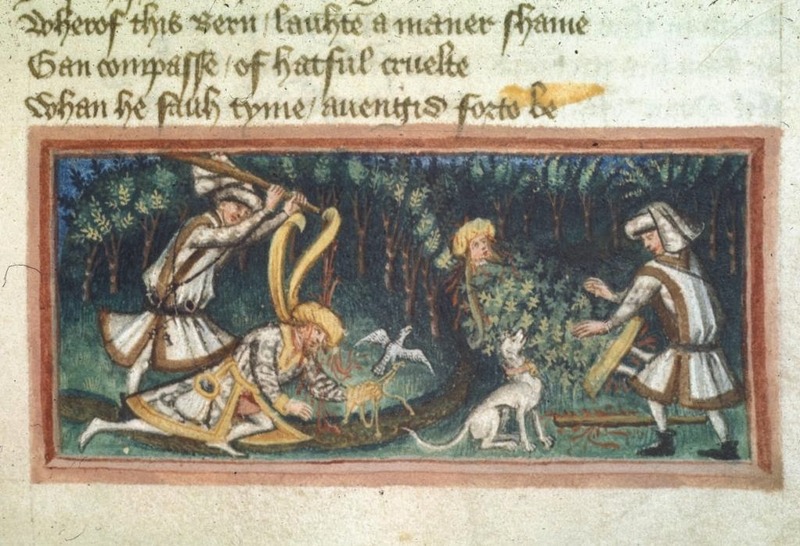 I wasn't really aware until this year how many saints were the subject of their own medieval vernacular songs, but between St Francis, Thomas Becket, St George, St Nicholas, and now St Edmund, there's no shortage! 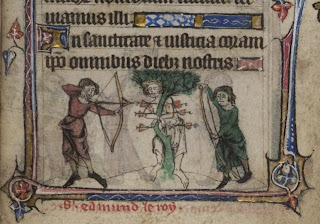 This is the only extant carol in honour of St Edmund, but there's some surviving liturgical music about him which has received some scholarly attention (for instance here.) 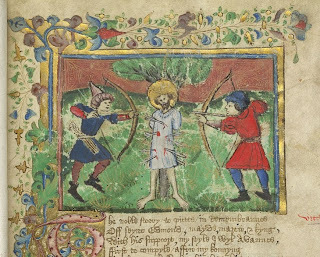 The Latin phrase in the refrain of this carol is the first line of the antiphon for St Edmund’s day. And bowndyn his body was to a tre. And every arwe with other gan mete. A blynd man fond it at the last. And scheld us fro the fendes fray. 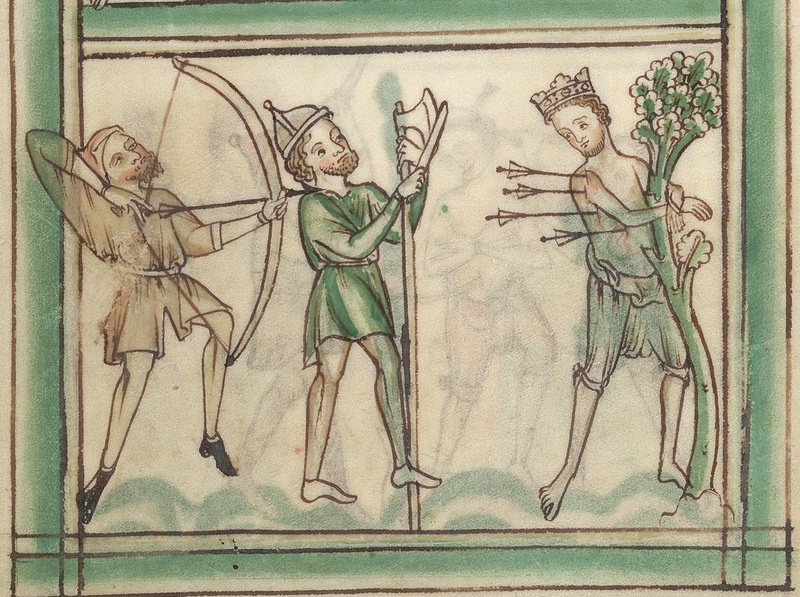 A new song I will begin of King Edmund, who was so noble: how he died without sin, and his body was bound to a tree. 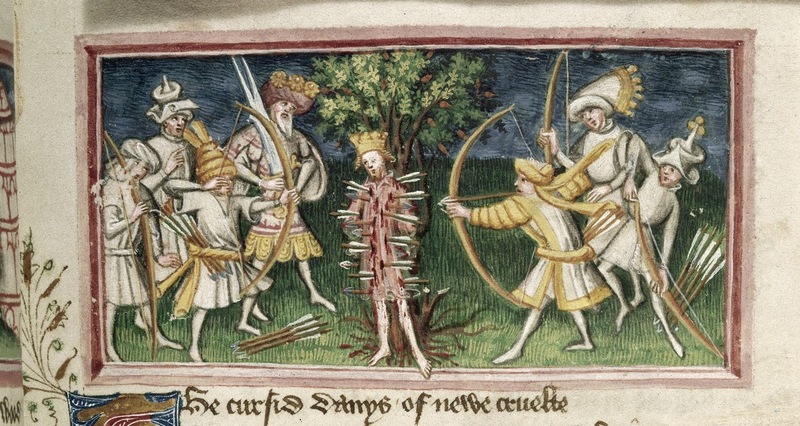 With arrows sharp they began to prick him; they would not cease for any pity. The darts came thick as drops of rain, so close that each arrow touched another. And his head they cut off, among the thorns they cast it; a wolf guarded it, truly, and a blind man found it in the end. I'm a bit late with this post, but today is something of a bonus feast-day for me, patron-saints-wise - two for the price of one. St Hilda, the seventh-century abbess of Whitby, is the patron and namesake of my first Oxford college, and St Hugh of Lincoln is one of the patrons of my last; they share a feast today, by one of the coincidences of history. They lived five hundred years apart, and I'm not sure whether they have much in common apart from their feast-day (and me). 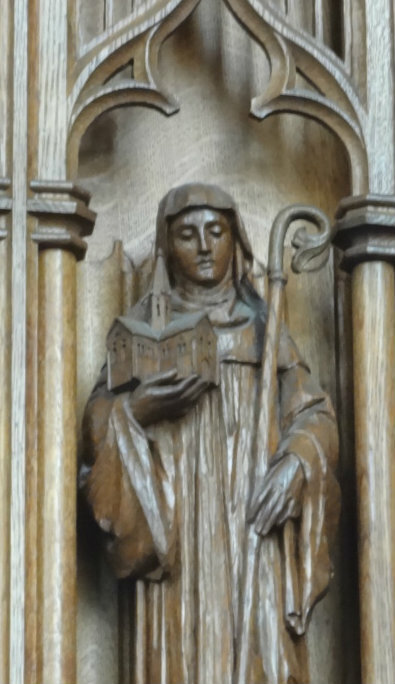 They did both have an affinity with birds -St Hugh famously had a pet swan which used to follow him around and guard him while he slept; legend had it that St Hilda was so respected by the sea-birds of Whitby that they would dip their wings in her honour as they flew over the abbey. Stand in combat to defend us. Vex the Sabbath of the heart. Where delight doth not abate! Where none languisheth nor mourneth. Every heart is loving there. More and more desiring ever. In the light of light abide. In the joy of Jesu’s glory. 'Gainst the sin of Adam's race. Christ of his good mercy lead us. This hymn was new to me today, and although it immediately appealed to me, it's somewhat odd. Robert Bridges has an idiosyncratic poetic style at the best of times, and in some places this doesn't even manage to be competent versifying - the couplet 'the saints, whose memories old / We in faithful hymns uphold' is just weak ('memories old'? Really, Robert?) You might expect better of a Poet Laureate and friend of Gerard Manley Hopkins - it's no 'All my hope on God is founded', is all I'm saying. But what I do like very much is the paradox in the first verse: 'For that pure immortal gladness / all our feast days mourn and sigh'. 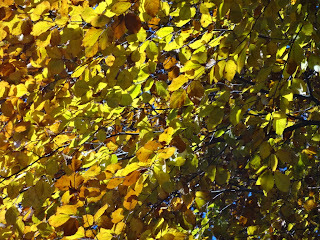 The very act of rejoicing at annual festivals, fixed points in earthly time, causes us to mourn for a place where there will be no time, and no feast-days - 'no ends nor beginnings but one equal eternity', as John Donne has it. And in the second verse, similarly: 'for that home the spirit yearneth, / Where none languisheth nor mourneth' - we yearn for no more yearning, for 'no fears nor hopes but one equal possession'. 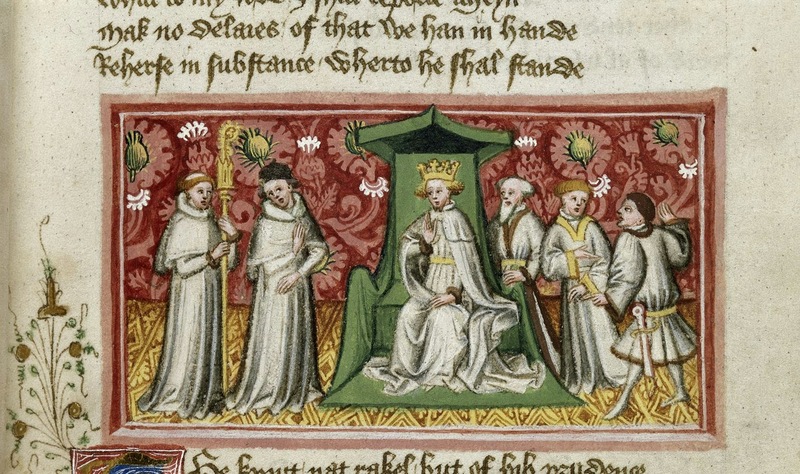 St Margaret of Scotland - princess, exile, reluctant wife, mother of kings - is one of my favourite medieval saints, and I wrote about the early sources for her life here. 16 November is the anniversary of her death in 1093, which came just days after she learned her husband and eldest son had been killed in battle. 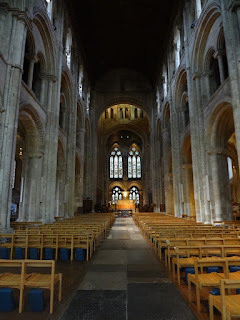 Dunfermline, where she was buried, is a bit far for me to go in her honour, but if you were looking for a pilgrimage destination for Margaret in England you could do worse than Romsey Abbey, in Hampshire. Although she was born abroad Margaret did spend a decade of her youth living in England, from 1057-1068, between the ages of about ten and twenty. We don't know exactly where she was in that time - whether she was at the royal court or being educated at a nunnery, somewhere like Wilton Abbey or Romsey, where royal women were often brought up. (I discussed this in relation to Wilton recently). The latter possibility seems most likely, especially given her devout habits in later life, her high regard for learning, and the story that she wanted to be a nun before her marriage to Malcolm. Her sister Christina did become a nun, and probably abbess, at Romsey, in c.1086. 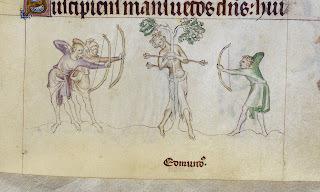 Nunneries were the safest places for English women in the aftermath of the Norman Conquest: anti-Norman rebellions from the English lasted well into the 1070s, and Margaret and Christina's brother Edgar was in the thick of them. 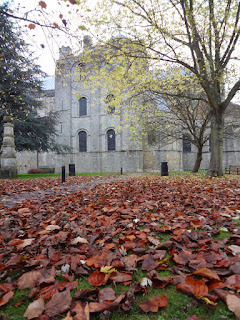 Romsey had been founded in 907 by the granddaughter of Alfred the Great, and always had strong links with the West Saxon royal house, partly as a royal foundation and partly because it's close to what was then England's de facto capital city, Winchester. 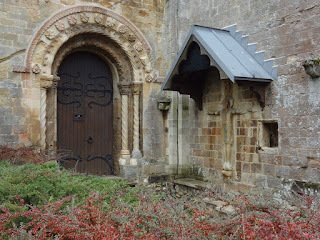 In c.960 King Edgar refounded it as a Benedictine house with his stepdaughter Ethelflaeda as abbess, and she became one of its patron saints. So it's not a great surprise to find Christina, granddaughter of Edmund Ironside, ending up there after the Norman Conquest, nor to find her educating Margaret of Scotland's two daughters there. It's a Saxon crucifixion scene, dating to the mid-tenth-century, and so perhaps a gift from King Edgar at the time of the refoundation. It's incredibly well-preserved. 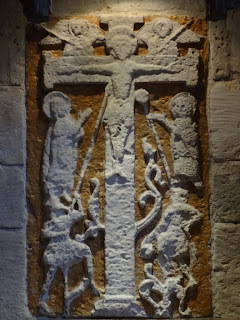 The cross is sprouting tendrils of fresh growth, as medieval rood-trees often do; the way the four straight lines above and below (the angels' staves, Longinus' spear, and the sponge of vinegar) converge on Christ, like radiating sunbeams, is just wonderful. 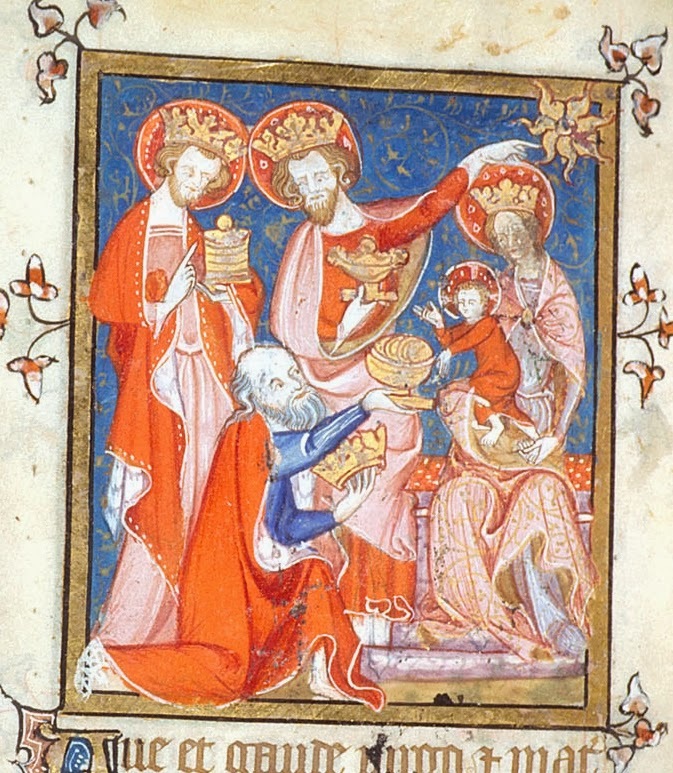 It was originally adorned with gold and jewels, and must always have been one of the abbey's greatest treasures. If St Margaret came here, she would certainly have seen it. 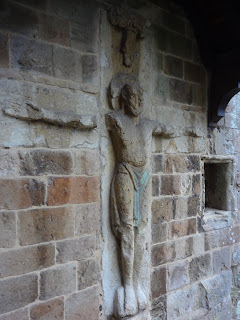 This is on the outside of the church, next to the door by which the nuns would have entered from the cloisters. 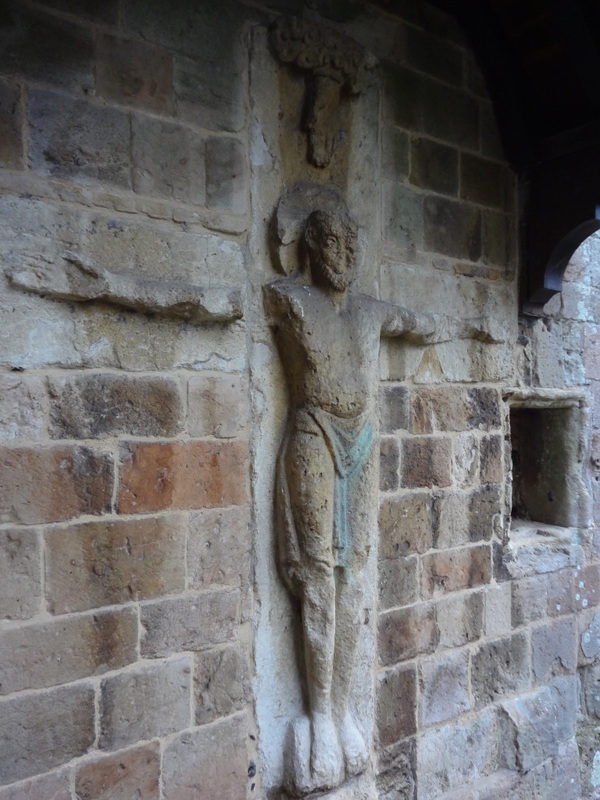 Anglo-Saxon crucifixes were often life-size and almost miraculously life-like, as I've written about before; this one probably would have been crowned and perhaps decorated. Pious Anglo-Saxons interacted with these figures as if with human beings: Cnut was supposed to have humbly presented his own golden crown to a life-size Christ figure at nearby Winchester, Harold Godwinson gained the sympathy of one at Waltham Abbey before the Battle of Hastings, and there are various stories of these figures speaking or coming to life to intervene in human affairs. It's easy to see why, when you stand below the Romsey figure and look up into its face. The 'hand of God' descending from above is utterly characteristic of an Anglo-Saxon Crucifixion scene; it's very touching to recognise something so familiar from tiny manuscript illustrations and then to see it here, huge and impressive certainly, but weatherbeaten and eroding - somehow more impressive because more frail. This dates to c.1025, the reign of Cnut; this, too, would have been here when Abbess Christina was - and perhaps St Margaret saw it. With its associations with Christina and St Margaret, Romsey recalls more than anywhere else the nadir of 'Anglo-Saxon' fortunes in England; that the word ever could have come to be used as a positive virtue is in part thanks to Margaret, and to Romsey itself. 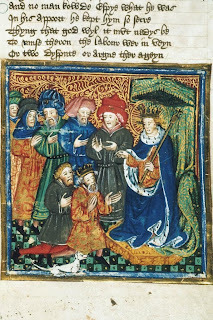 By the marriage of Margaret's Romsey-educated daughter Matilda (or Edith, as she was christened, in honour of her English ancestors) to Henry I, the wounds of the Norman Conquest slowly began to be healed. I love this poem and this setting and this video so much that it makes me irrationally sad it has so few views on youtube - as if that matters in the least! But watch it anyway and pay due tribute to quality. Came back again to me. O lady of my heart! My reason or my heart. I have not lived in vain. 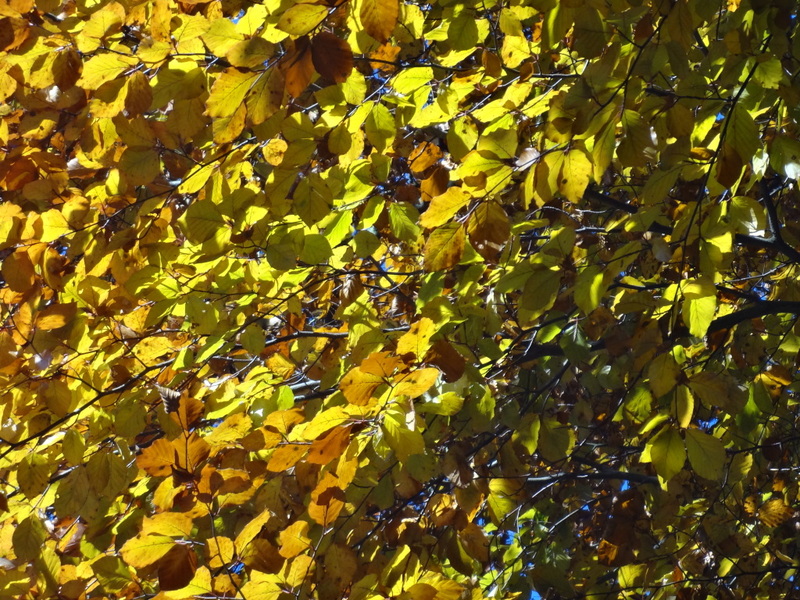 St Martin's Summer is the term for 'a period of unseasonably warm, fine weather occurring around Martinmas (11 November)'. Metaphorically speaking, it's the meteorological equivalent of 'Lammas flush' - an unlooked-for return of happiness, a fulfilment of hope when all seems lost. This is such a sweet poem, and reading it was one of the first things which made me realise what a wonderful, underrated poet Robert Louis Stevenson is - but it's since been balanced out in my mind by this poem, also by him, which has a more downbeat, realistic take on the 'birds returning from sea' imagery. I can't find out from the internet which of them he wrote first, but it would be very interesting to know. The former oil industry worker joins his near-namesake Justus, who held the role in the early 7th Century, when the Church's missionary work in the north of England was still in its early stages. Early stages indeed - Justus was only the fourth Archbishop of Canterbury, and at the time he became archbishop in 624 less than thirty years had passed since St Augustine's arrival in Kent. According to Bede, Justus came to England with the second group of missionaries sent by Gregory the Great. They arrived in 601, bringing with them books (including one which still survives!) and other things Augustine had requested for his new missionary church. 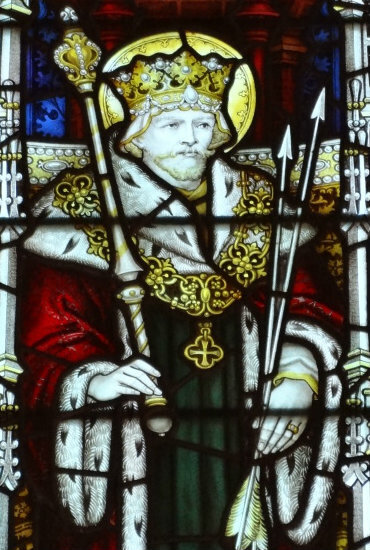 Justus was quickly made bishop of the new diocese of Rochester - as I wrote back in January, Rochester, though ancient, usually has the title 'second oldest' for everything related to English Christian history, being the second see founded after Augustine's arrival (in 604, along with London). The cathedral there is a descendant of the church built for Justus by King Ethelbert. 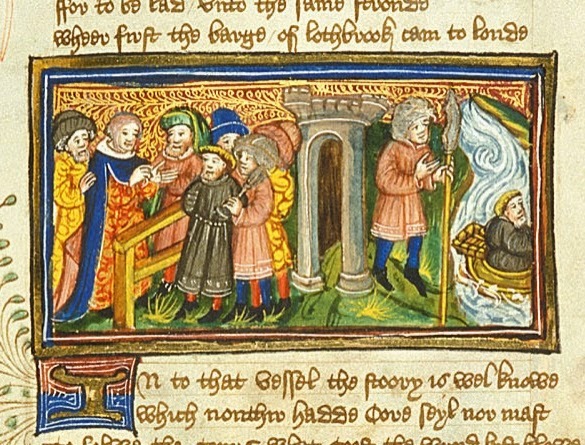 After the death of Ethelbert, the accession of his son Eadbald proved very prejudicial to the new church; for he not only refused to embrace the faith of Christ, but was also defiled with such a sort of fornication, as the apostle testifies, was not heard of, even among the Gentiles; for he kept [that is, married] his father's wife. By both which crimes he gave occasion to those to return to their former uncleanness, who, under his father, had, either for favour, or through fear of the king, submitted to the laws of faith and chastity. Nor did the perfidious king escape without Divine punishment and correction; for he was troubled with frequent fits of madness, and possessed by an evil spirit. This confusion was increased by the death of Sabert, king of the East-Saxons, who departing to the heavenly kingdom, left three sons, still pagans, to inherit his temporal crown. They immediately began to profess idolatry, which, during their father's reign, they had seemed a little to abandon, and they granted free liberty to the people under their government to serve idols. And when they saw the bishop, whilst celebrating mass in the church, give the eucharist to the people, they, puffed up with barbarous folly, were wont, as it is reported, to say to him, "Why do you not give us also that white bread, which you used to give to our father Saba (for so they used to call him), and which you still continue to give to the people in the church?" To whom he answered, "If you will be washed in that [water] of salvation, in which your father was washed, you may also partake of the holy bread of which he partook; but if you despise the [water] of life, you may not receive the bread of life." They replied, "We will not enter into that [water], because we do not know that we stand in need of it, and yet we will eat of that bread." And being often earnestly admonished by him, that the same could not be done, nor any one admitted to partake of the sacred oblation without the holy cleansing, at last, they said in anger, "If you will not comply with us in so small a matter as that is which we require, you shall not stay in our province." And accordingly they obliged him and his followers to depart from their kingdom. Being forced from thence, he came into Kent, to advise with his fellow bishops, Laurentius and Justus, what was to be done in that case; and it was unanimously agreed, that it was better for them all to return to their own country, where they might serve God in freedom, than to continue without any advantage among those barbarians, who had revolted from the faith. Mellitus and Justus accordingly went away first, and withdrew into France, designing there to await the event of things. But the kings, who had driven from them the preacher of the truth, did not continue long unpunished in their heathenish worship. For marching out to battle against the nation of the Gewissie, they were all slain with their army. However, the people, having been once turned to wickedness, though the authors of it were destroyed, would not be corrected, nor return to the unity of faith and charity which is in Christ. 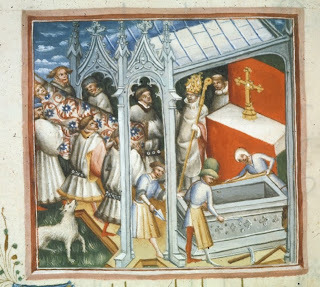 Laurentius [Augustine's successor as Archbishop of Canterbury], being about to follow Mellitus and Justus, and to quit Britain, ordered his bed to be laid the night before in the church of the blessed apostles, Peter and Paul, which has been often mentioned before; wherein having laid himself to take some rest, after he had poured out many prayers and tears to God for the state of the church, be fell asleep; in the dead of night, the blessed prince of the apostles appeared to him, and scourging him a long time with apostolical severity, asked of him, "Why he would forsake the flock which he had committed to him? 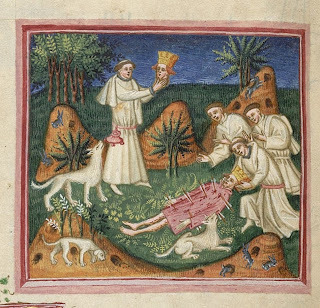 or to what shepherds he would commit Christ's sheep that were in the midst of wolves? Have you," said he, "forgotten my example, who, for the sake of those little ones, whom Christ recommended to me in token of his affection, underwent at the hands of infidels and enemies of Christ, bonds, stripes, imprisonment, afflictions, and lastly, the death of the cross, that I might at last be crowned with him?" Laurentius, the servant of Christ, being excited by these words and stripes, the very next morning repaired to the king, and taking off his garment, showed the scars of the stripes which he had received. The king, astonished, asked, "Who had presumed to give such stripes to so great a man?" And was much frightened when he heard that the bishop had suffered so much at the hands of the apostle of Christ for his salvation. Then abjuring the worship of idols, and renouncing his unlawful marriage, he embraced the faith of Christ, and being baptized, promoted the affairs of the church to the utmost of his power. He also sent over into France, and recalled Mellitus and Justus, and commanded them freely to return to govern their churches, which they accordingly did, one year after their departure. Bede loses interest in Justus shortly after his consecration, since the conversion of Northumbria, a process which began when Justus consecrated Paulinus as Bishop of York, is of much more immediate concern to him; he starts telling stories about the flight of a sparrow and stops talking about what was happening down in Canterbury at the same time. So we don't know much about what Justus actually did as archbishop, but we do know that he was buried at the monastery of St Augustine's, and there (with the other missionaries sent by Gregory) was commemorated as a saint. In the Middle Ages St Augustine's was very proud of its name-saint and his companions. 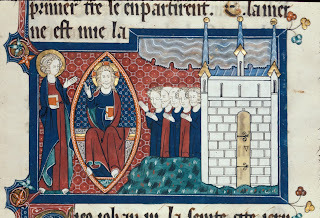 In 1091, when the abbey was about to be rebuilt, the bodies of the saints had to be moved to allow this; St Augustine's decided to make the translation of the relics an occasion of great celebration, and it caused the monk Goscelin, in giving an account of this important event, to write at length about the Augustinian saints (and about St Mildred of Thanet, as I've mentioned before). 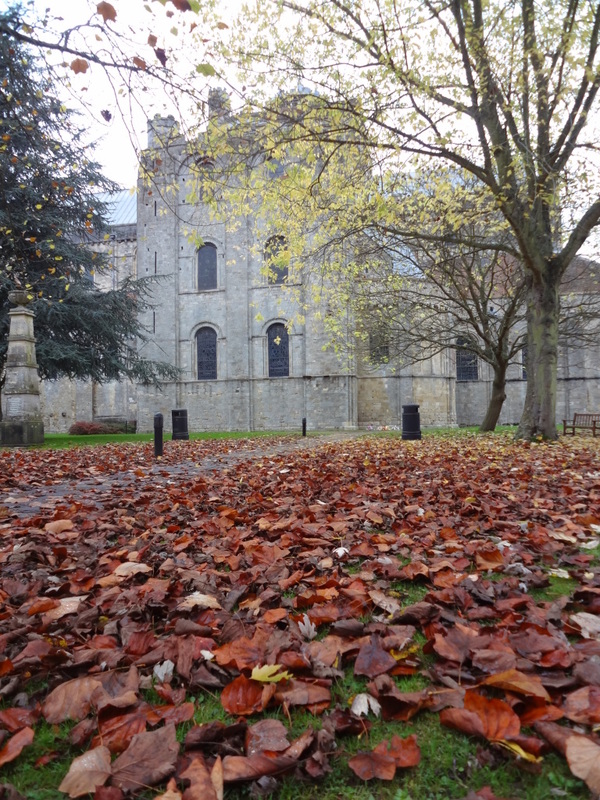 St Augustine's had been through some very troubled times after the Norman Conquest, and this was an opportunity for the abbey to heal some of its wounds by looking back to its origins. Goscelin was an eye-witness to the opening of the tombs, a process which took place over a whole week of splendid liturgical celebrations. 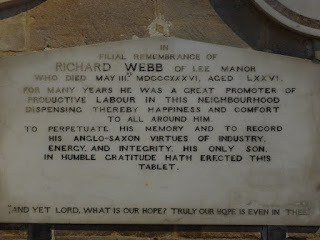 He describes how it began on 6th September and lasted until the 13th; on Monday 15th September, the workmen came in to clear the foundations for the building of the new abbey (that gives you a nice sense of how the ceremonial and the practical needs of the community met on this occasion!). 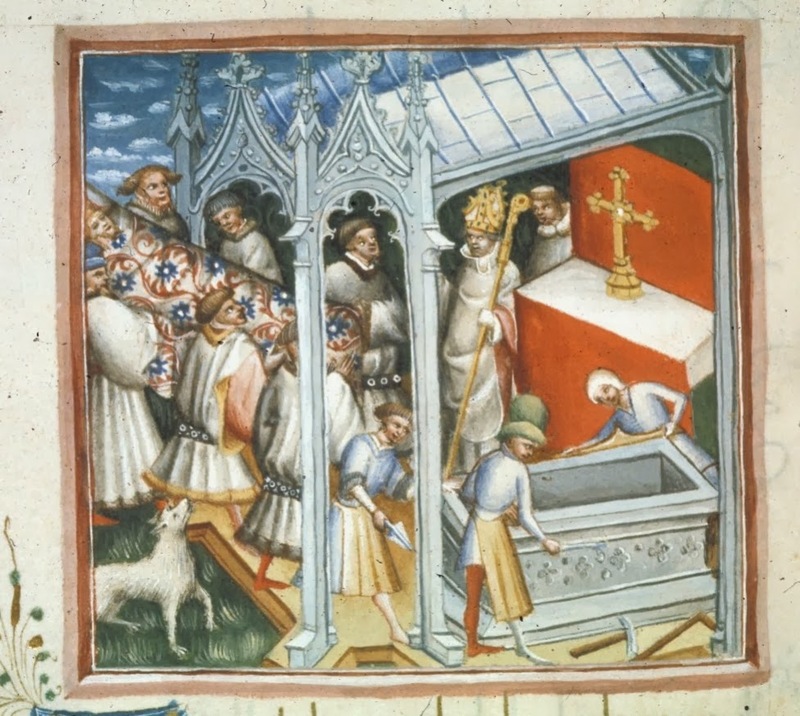 The body of Justus, together with his two immediate successors Honorius and Deusdedit, was due to be moved on the Friday, but it took longer than expected to break into the tombs, and they didn't manage it until Saturday morning. When the tombs were opened, there was a miraculously sweet smell - the odour of sanctity. 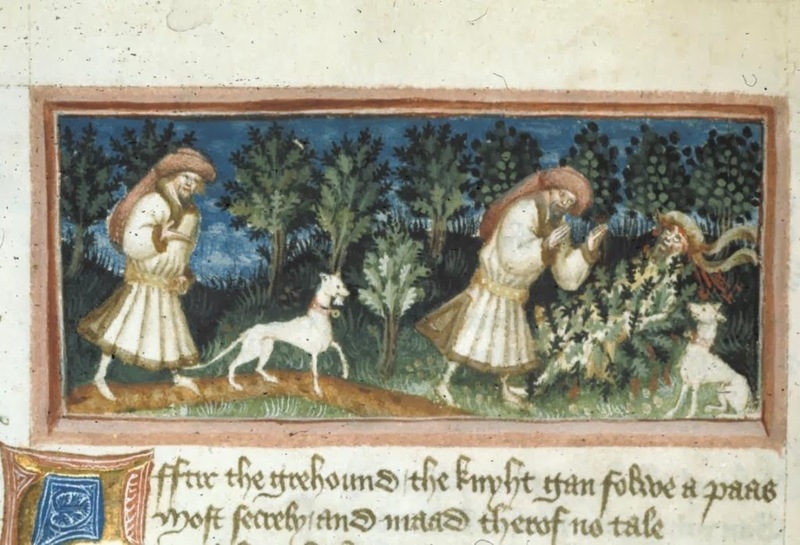 Goscelin indulges in a pious Latin pun: if you want to know, he says, 'quis sit Justus' (if this man is just/is really Justus), this scent is your evidence of both. Very nice, Goscelin; this makes me think that he and Gerard Manley 'the just man justices' Hopkins are probably having punning fun somewhere in the heavenly Wilton. 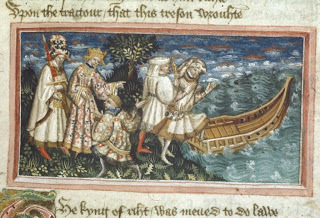 Here's a gorgeous picture of a page in the manuscript which tells about the events of 1091. Walking through Oxford this morning, I had Gerard Manley Hopkins's description of the city swimming through my memory: 'Towery city and branchy between towers / Cuckoo-echoing, bell-swarmèd, lark-charmèd, rook-racked, river-rounded'... 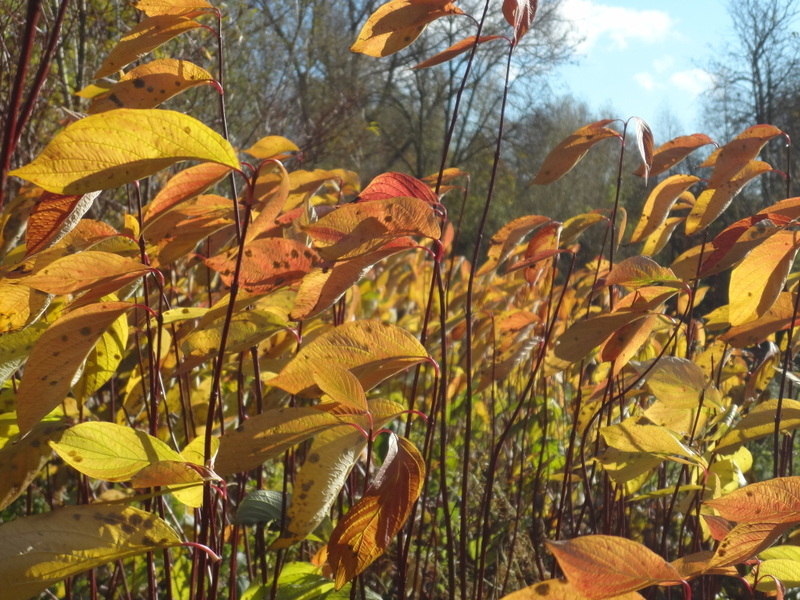 There are no cuckoos and larks in November, but there were, this sunny morning, plenty of towers, branches, rooks and rivers - and many bells, as always. 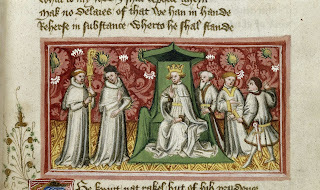 The lines are from Hopkins' poem 'Duns Scotus' Oxford', and as today is the anniversary of the death of Duns Scotus (in 1308), here is the poem, with one or two pictures of his, and Hopkins', and this morning's Oxford. I went to the most wonderful church yesterday. It was the first really sunny day we've had in a while, and I was itching to be abroad in the autumnal countryside, so I studied various websites in search of a destination, and caught sight of the key words 'medieval painted screen' and 'shrine of St Edburg' - at the church of St Michael in Stanton Harcourt, a village 6 miles west of Oxford. You can get there easily by bus, and a website said the church was open, so off I went. But the church was open! After my experience at Wantage I was half-expecting it to be locked even as I walked up to the door with a friendly 'Open' sign hanging on it; but no, the gate was open, the door was unlocked, and the church was all mine to explore. The village was deserted and there was absolute stillness all around, not even traffic noise - only a 'bright litter of birdcalls' from time to time, so loud in the silence that it startled me. There is no stillness like the stillness of an empty country church; you hardly want to breathe lest you disturb it. The nave is very plain, with clear glass in the Norman windows, and only one or two memorials; but there were autumnal flowers, lovingly arranged, and the best decoration of all - sunlight. This window was so simple in shape, you would have thought nothing could make it worth looking at - but the light through the panes made the stone shimmer like water. If you're wondering 'where's the medieval screen', so was I - but I promise we'll get to it, and it will be worth the wait. The real inhabitants of this church, when the living parishoners are away about their business, are the Harcourt family, countless generations of them. The first ones you spot, as you go up the nave, are two life-size Victorian Harcourts, or rather plaster casts of statues of them, of which the originals (statues, not men!) stand in the lobby in the Houses of Parliament. I wonder if this is ancestral piety; if I knew where my fourteenth-century ancestors were buried, or who they were, I'm sure I'd always be leaving dried flowers upon their tombs. It reminded me strikingly of the knight at Ickham. This is the tomb of Robert Harcourt, who bore the standard at the Battle of Bosworth - for the winning side, in case you were wondering. The king refused to photograph well but I do recommend you click to enlarge the bishop, and zoom in; he has the most wonderful face and mitre. The shrine's identity was unknown for centuries, perhaps deliberately concealed to save it from destruction; it was only as recently as the 1930s that an enterprising scholar studied the shields on the shrine, and realised that they tallied with the patrons and benefactors of Bicester Priory. The carving is of such high quality that it's been suggested it was the work of Alexander of Abingdon, the master sculptor who carved the images on the Eleanor Crosses. It's a treasure of medieval art and a precious glimpse of the pre-Reformation world of saints and shrines - here, in this silent country church. Even the carving on the base, though not quite as special, is nicely recognisable as late-medieval Instruments of the Passion; it may have been part of an Easter sepulchre, which is what St Edburg's shrine was thought to be until its true history was discovered. How plaintive those pierced hands are. And now I must talk about the screen, or I will have run out of energy before we get to this treasure. 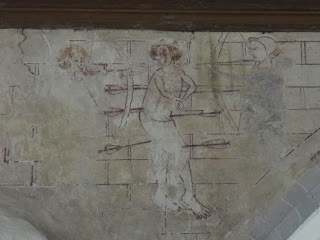 This was what I had come to see; after Westhall, I'd go a lot further than six miles to see a medieval painted screen. But when I first saw the screen, I was puzzled and a little disappointed. Where on earth was the painting? I knew it was only two panels - the only ones which had survived the Reformation - but surely it couldn't have disappeared before my visit. I walked through the screen into the chancel, took a look on that side, and then came back again. Nothing. Cast into shadow by the pillar, a painted princess-nun quietly sits and reads. She has a crown and a staff of office, and one hand is turning the page of her book. 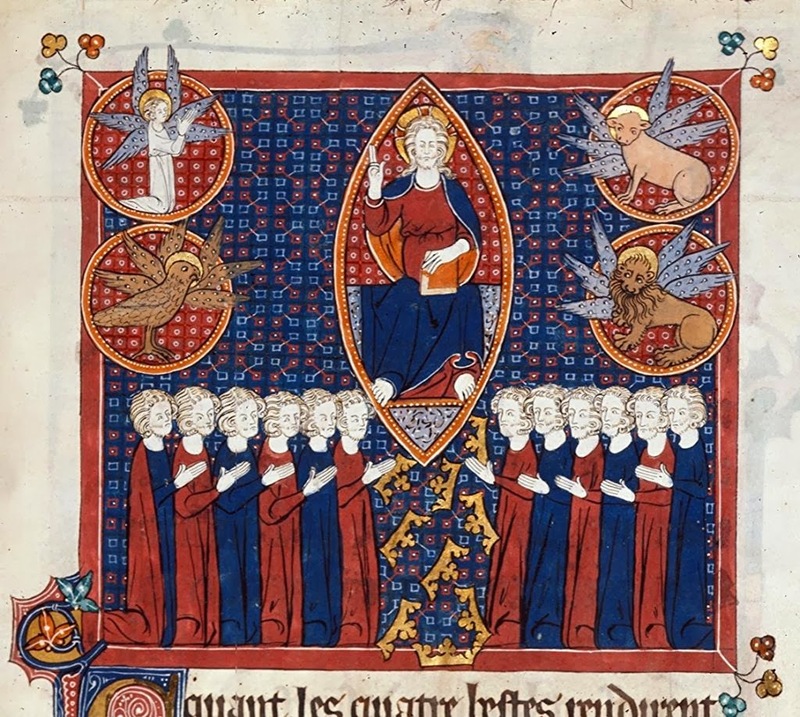 Her face is sweetly thoughtful, as if an idea has occurred to her in her reading, and she is looking up to contemplate it; it reminds me of the medieval depictions of the Annunciation in which the Virgin is depicted as reading alone when the Angel appears to her (at Gisleham, for instance). 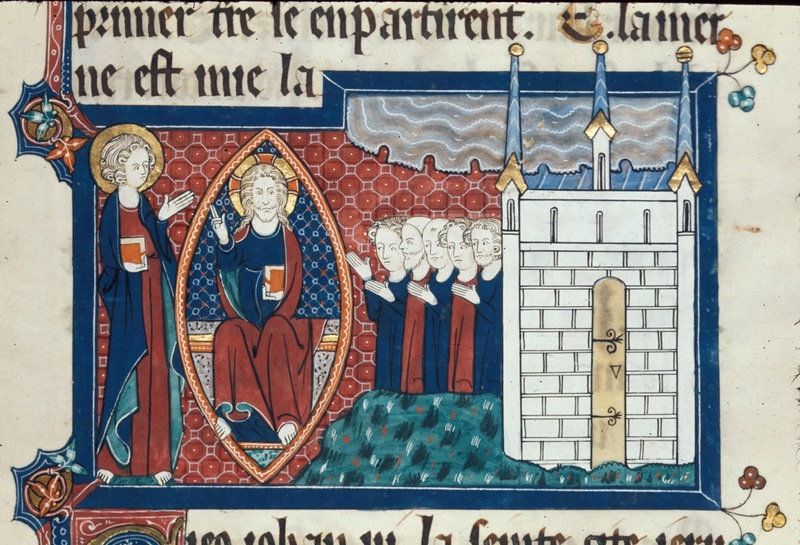 There are different theories as to this lady's identity: the guidebook favours Queen Adeliza, second wife of Henry I, who retired to a nunnery at the end of her life and was patron of Reading Abbey, which was the patron of this church. Other suggestions include St Edburg, Oxford's St Frideswide, and Ely's St Etheldreda, nuns and princesses all; but there's no clear evidence either way. We do know that the painting dates to the fifteenth century, and was added to a wooden screen of the mid-thirteenth. The screen has a variety of shapes cut into it, the purpose of which remains a mystery. However, I like how in this panel the piercing looks like a window in the nun's cell - almost like the 'squint' through which anchoresses would gaze on the altar. The temptation to take pictures of the church through these oddly-shaped holes was just too much to resist! The bare walls of the nave were once covered with paintings too, though none are now visible - a description of the church from 1845 talks of scenes including Christ before Pilate, the Last Supper, the Entombment, and the Descent into Hell. Then the walls were replastered. What survives beneath? St Michael, in a statue given by All Souls College, Oxford - All Souls received the property in the village which belonged to Reading Abbey before the Reformation. The church guide informed me there's a house in the village known as the 'Pest House', because those who leased it were required to accommodate fellows of the college there if an outbreak of plague made it prudent to flee Oxford for a time. The lacy shadow cast by these flowers was extraordinarily delicate; as soon as I had taken this picture I looked away for a moment and when I looked back it had gone, as the sun moved. I was very conscious, as on the day I went to Iffley, of the movement of the sun; I spent nearly two hours in the church, entirely undisturbed, the only breathing thing among the statues and effigies, and the only kind of change that I saw in this changeless place was the silent passage of the light. The brightest gleam slipped from window to window, sweeping noiselessly across the nave, illuminating different corners and casting different shadows from moment to moment. I waited for it to reach the nameless nun, but it never did; this must be why her colours remain so unfaded after five hundred years. At last I remembered I had a bus to catch, and went to have a look at the outside of the church. The lacy stonework on the right here belongs, you will not be surprised to learn, to the Harcourt chapel. It was difficult to tear myself away to go and catch the bus; I couldn't help feeling that if I stayed longer, more and different lights would reveal themselves, each more beautiful than the last. I would not have been surprised by a flash of Pope's 'celestial fire'; it could not have been more bright than the glow of the sinking sun. But it was hometime, and as I left the church, the place was no longer deserted: the village primary school had just finished for the day, and the road was full of children in their uniforms, parents chatting, and dogs barking. The sound came as a shock, a sudden reminder of life after spending so long among the silent Harcourts.